Material handling equipment is an absolute necessity for modern businesses to stay competitive and increase worker productivity. Purchasing managers and warehouse owners must grapple with the financial complexities of lease agreements, insurance, fluctuating interest rates and more in their decision of whether to purchase or rent material handling equipment. Simple math dictates that $10,000 to $100,000 forklifts will more than pay for themselves over the long haul with big increases in productivity, but for many businesses the issue comes down to how to pay for that investment. Many businesses today owe their existence to the fact that the forklifts and material handling equipment they use is so specialized and expensive as it creates a barrier to entry for competitors. Small retail outlets, tree trimming businesses, etc rely on forklift rental companies because it is not practical to purchase the equipment for one-time or occasional use. The cost-justifications to rent vs. buy change dramatically however when you use forklifts for your everyday operations. 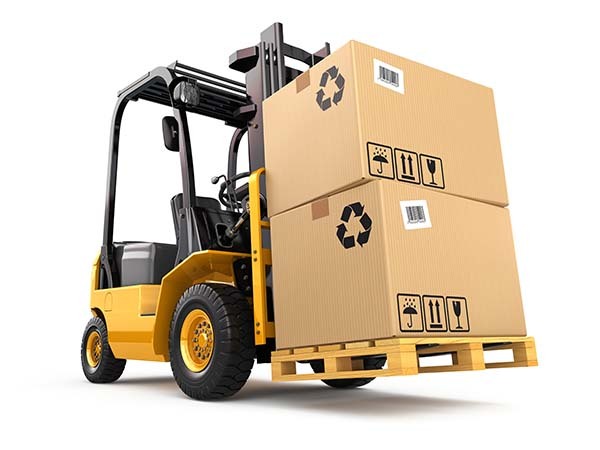 For warehouse and order fulfillment operations, having the proper material handling equipment is essential to the job. There are a number of items that are available to make modern warehouses and shipping operations more productive and efficient. However, the forklift continues to be the mainstay for many operations. Forklifts come in many varieties and have a range of capabilities and prices, but their fundamental purpose is to allow workers to move inventory quickly and efficiently. For many businesses, the need for and use of forklifts is not the question. The issue for some, especially most small businesses, is the issue of whether to buy or rent the equipment. There is no simple right or wrong to this question, since it comes down the individual company's situation. There are a number of basic factors that enter into coming to a sound and supportable decision. Several of those items are discussed below. Need to invest a significant amount of capital and/or have well established credit. As equipment ages you will not get benefits of newer tech. Old equipment may not meet the latest OSHA standards for safety or emissions. If you operate at multiple sites you will need your own delivery vehicles to transport the lift truck. Equipment is not available immediately. Hard to estimate the length of some jobs & therefore the cost. Your operators may not be able to familiarize themselves with forklifts from different manufacturers. Heavy users will see a cost advantage in long run. Larger companies with equipment fleets have more flexibility, no waiting on a 3rd party. You don't need to worry as much about superficial damage to the forklift exterior. Relatively consistent costs that you can plan around. Cost is much lower for short to medium term use. Available for businesses with minimal credit. No need for in-house mechanics. You can use the latest equipment depending on rental company. The financial term for evaluating the use of capital equipment is payback period. This is a common sense determination of how long it takes for a purchase to be justified in dollars and cents. For example, if a forklift is billed out to a series of customers at so much an hour or a pick, it is easy to determine how many hours or picks it takes to pay for itself. If, however, the cost is part of your total overhead, the cost is more indirect. Nonetheless, it is still possible to evaluate over a given period of time what the cost comparison is. 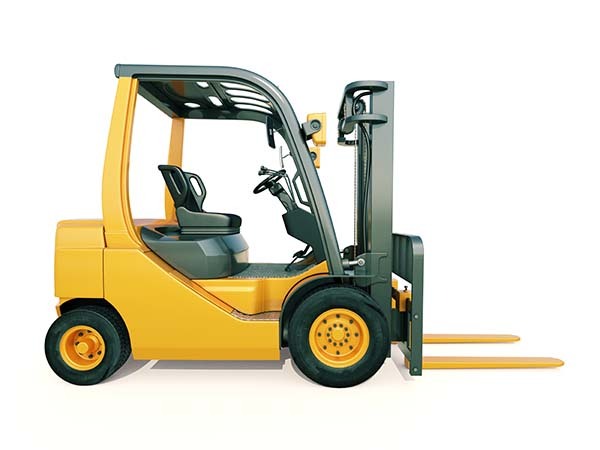 Simply calculate the weekly or monthly cost of renting the forklift out for the period of time it is needed. Do the same for the amortization of a purchase during the same period of time. There will be a break even point where it is easy to see where renting becomes more expensive than buying, considering only the purchase price. There is more to consider, however. All equipment is built with a certain life expectancy and usage expectation. Even if bought new, all commercial machines require maintenance and repairs. If you are a heavy user of equipment such as forklifts, the upkeep becomes a matter of major consideration. Aside from the normal costs of ownership discussed below, it is possible renting a forklift is preferable to owning in a heavy use environment. Of course, the vendor renting the equipment factors that cost into the rates charged. For many small companies, access to credit is a major concern. Using available credit lines for capital equipment can affect working capital resources needed elsewhere. This one fact can have a major influence on the decision to rent or buy. Rented equipment is maintained by the company that owns it in most cases. The costs of ownership include taxes, maintenance and depreciation of the asset. Safety is also an issue. As owned equipment ages, it is tempting to keep it in service beyond its recommended life cycle which can cause safety issues. Forklifts continue to incorporate many new advances and capabilities. Evaluate just how important it is to keep your equipment compatible with the latest technologies. Rented equipment can be easily traded for the latest models. You also never have to worry about retrofitting old forklifts to meet new emissions standards. One of the most significant impacts of the Industrial Revolution was the movement to machines rather than manpower to get things done. Prior the 1700s, over 80 percent of all work was accomplished with human muscle. That meant that no more work could be completed than what a man could do in an hour by brute force. With the advent of machines, the work of ten, twenty or even a hundred or more hours of comparable manual labor can be accomplished by one worker. This formula is driving more and more investment by companies into automation and material handling equipment with no end in sight. The bottom line of the rent or buy decision for material handling equipment is, in fact, the bottom line. Make the choice that makes the most financial sense while fully supporting your operational requirements.